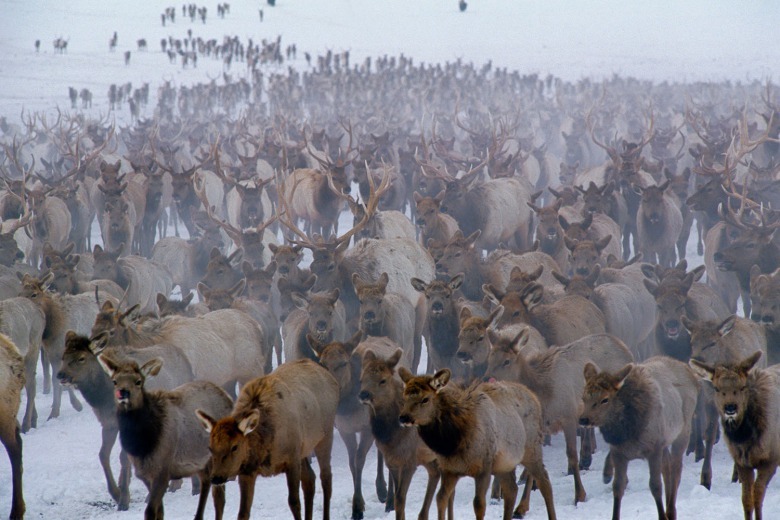 With The Arrival Of Chronic Wasting Disease Imminent, Is Government Mismanagement Threatening The Health Of GYE's Elk Herds And Humans? On a map, “Deer Hunt Area 17” is unlikely to ring any bells of geographic recognition, even for residents in hunting-crazed Wyoming. Located northwest of Gillette in the Powder River Basin—a sweep of rolling, mostly treeless high plains embedded in the largest coal-producing region in America—Hunt Area 17 on Monday, December 19, 2016 became one of the latest in Wyoming to have a publicly-confirmed case of Chronic Wasting Disease. “If you see a deer, elk or moose that appears to be sick or not acting in a normal manner, please contact your local game warden, wildlife biologist or Game and Fish office immediately,” Scott Edberg, deputy chief of the Wyoming Game and Fish Department’s wildlife division, said in a press release. Many more confirmations of CWD are expected to come soon in Wyoming. In fact, another arrived on September 25, 2017, with a mule deer buck testing positive in Dear Hunt Area 19. It’s not often that citizens receive advisories from a government agency cautioning them the wild edibles they have traditionally harvested from nature for generations should first be tested to determine if they are safe to eat. But that’s exactly what Wyoming’s wildlife agency did. Not long ago, Game and Fish posted an additional bulletin, alluding to the findings of a non-peer-reviewed Canadian study in which macaques (primates with a genetic makeup very similar to humans) were fed deer meat contaminated with CWD and fell fatally ill with disease. CWD is on the minds of countless hunters in North America. Randy Newberg knows. He’s an avid Bozeman, Montana-based sportsman and conservationist who is host of the Sportsman Channel's Fresh Tracks With Randy Newberg and one the most popular web podcasts devoted to public lands hunting. Whenever Newberg posts a new podcast, it often is downloaded by between 100,000 and 150,000 people. He has a YouTube channel with nearly 40,000 subscribers and videos that have generated 200,000 views. Additionally, his website has 43,000 registered members and his Facebook page 50,000 followers. Hunters listen to and generally trust what he has to say. “Am I worried about CWD?” he asked as the fall 2017 hunting season was getting underway. “Yes, I’ve been worried about it for years in terms of what it means for the health of wild deer, elk and other animals." He acknowledges widespread confusion among hunters and that “public discussions about CWD are all over the map”. Ever increasingly, in the rapidly-expanding reaches of the U.S. landscape becoming classified as CWD-endemic areas, huge numbers of outdoorspeople have trepidation about the wholesomeness of big game meat they bring home to the family dinner table. The laboratory study with macaques in Canada mentioned above—if the results are confirmed by second and third parties and replicated in months and years ahead—would represent a frightening watershed moment in thinking about CWD’s ability to cross species barriers. It’s a malady whose seriousness as a possible risk to humans has often eclipsed discussion of its already real impacts to nature. Indeed, the potential menace CWD represents to the persistence of Greater Yellowstone’s migratory wildlife has been downplayed and minimized for years in Wyoming. 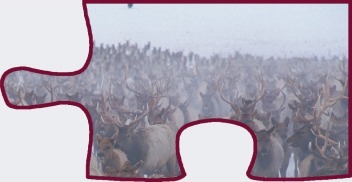 Numerous critics interviewed for this series say Wyoming’s hands'-off approach to dealing with CWD is one of the most glaring examples in modern wildlife history where a preponderance of growing scientific evidence, supporting the need for aggressive intervention to slow a potential catastrophe, has been willfully dismissed to fit entrenched political agendas and commercial interests. Like the expanding impacts of human population growth and climate change in the Greater Yellowstone Ecosystem, CWD represents a true test, they say, of whether public and private land managers, elected officials and citizens in the region can really come together to address landscape-level challenges. CWD afflicts members of the cervid (deer) family, which, in the Rocky Mountain West, includes mule and white-tail deer, elk, and moose. (Caribou, which dwell in the arboreal and tundra north, are also deer family members). Testing to determine if game meat is infected with CWD is made only after an animal is dead, yet living carriers of the contagion can appear normal and asymptomatic even when stricken with the disease that will kill them. Endemic zone classifications for CWD applies to areas where the disease is now believed to be present in animals. But as with the testing mentioned above, lack of confirmation of a CWD-infected ungulate being present in a given area does not equate to absence of disease. While Wyoming Deer Hunt Areas 17 and 19 are a few hours’ drive from Greater Yellowstone, CWD endemic zones already extend figuratively to the doorstep of Yellowstone and Grand Teton national parks, the adjacent National Elk Refuge in Jackson Hole and over half of the ecosystem’s national forests—though many hunters and the general public may not be aware. The Powder River Basin, notably, also spills northward across Wyoming’s border into Montana. Today, CWD endemic zones cover nearly all of Wyoming and, nationally, portions of 21 other states plus a couple of Canadian provinces. No cases have yet turned up in Montana and Idaho but CWD is a disease that, like its peripatetic victims, does not recognize invisible state boundary lines. Incurable, progressive, often slow to incubate, and except in the rarest of circumstances always-fatal, CWD has been described by epizoologists as “a slow-motion wildlife disaster” in the making; it involves an exotic plague—a cousin to dreaded “Mad Cow Disease"— that, true to its name, “chronically” festers at first in wildlife at low-grade levels, spreading between animals in dribbles and drabs. CWD causes individual victims to become emaciated with telltale symptoms: “vacant stares, drooping ears, stumbling movements and drooling”. Internal physiological effects can include transforming brains into the consistency of mushy Swiss cheese. Animals withering in the last phase of CWD behave and look remarkably similar to humans incapacitated in the final stages of severe dementia. Their haggard, bony appearance could also be mistaken for animals emaciated from hard winters. Scientists say CWD can take years to assert full impact at a population level. It has been spreading steadily in individual animals westward across Wyoming after it was diagnosed in the southeastern corner of the state decades ago. Besides being poised to reach Montana and Idaho from infected migratory animals in Wyoming, CWD also is pressing southward toward Montana via infected wildlife from Alberta and Saskatchewan and westward from the Dakotas. At present, there currently are neither vaccines available to stop it nor curative medicines that can be dispensed to hosts having it. Whether a person hunts and consumes big game or is among the countless millions of Americans who simply enjoy having healthy wildlife on the landscape, CWD is creating impacts that scientists say they are just beginning to comprehend. The only hope for potentially dampening its impact, according to leading wildlife authorities, is taking actions that just happen to cut against the fundamental grain of how Wyoming has approached wildlife management for generations. In a nutshell it means halting century-old public feeding of wildlife and viewing predators, namely wolves, as allies in fighting diseases instead of as scourges that Wyoming would just as soon wipe off the landscape. The origin of CWD is inexact. Some believe it is related to a scrapie outbreak which afflicted domestic sheep and then jumped species. In 1967, CWD was affirmed among captive deer kept at a research facility near Fort Collins, Colorado and then spread into wild deer and elk herds in that state. Wildlife experts say the prevalence of CWD in some southeast Wyoming mule deer herds already ranges between 20 and 45 percent. Most victims die within two years of becoming infected but can live for half a decade. CWD is more common in bucks than does and prevalence oscillates differently in deer than elk but some outbreaks of CWD in both captive deer and elk have been equally severe. Twenty years ago, Jim Posewitz, a revered sportsman in Montana and lifelong conservationist who worked for the Montana Department of Fish Wildlife and Parks, expressed concerns about CWD to me around the time that voters in his state went to the polls passing a ballot initiative to outlaw wildlife game farms. Game farms are private facilities where wildlife is husbanded like livestock, sometimes to serve as trophies in canned hunting behind fences, sometimes to be used as breeding stock, or sold as meat to restaurants. Some horns from male deer and elk at game farms have been exported to Asian markets where they are marketed as traditional medicines and aphrodisiacs. The campaign to ban game farms in Montana was prompted by rising concerns relating to diseases. One game farm deemed especially problematic was a fenced compound operated by Welch “Sonny” Brogan just outside of Gardiner, Montana near the northern border of Yellowstone National Park and right in the middle of a wild elk and bison migration corridor. The late Mr. Brogan, who became known as “the granddaddy” of Montana game farms, was charged in 1989 with capturing wild elk and having poorly maintained fences that could result in captive elk escaping. Brogan fought the charges but his conviction was upheld by the Montana Supreme Court in 1993. The reason the fencing issue was so important is that Brogan at one point was accused of selling some of his captive elk to a game farm in Canada—animals that later became sickened with bovine tuberculosis, a virulent disease that not only kills wildlife but is a hazard to humans. An investigation resulted in Brogan’s facility being placed under quarantine and him ordered to pay $100,000 to the game farm with whom he did business. 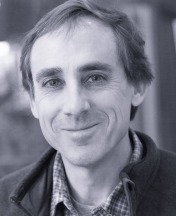 Around the same time as Montana’s ballot initiative, a Canadian biologist named Dr. Valerius Geist, who is today a professor emeritus in Environmental Science at the University of Calgary, was on the stump warning about the consequences of epizoonotic diseases flaring among captive animals in game farms throughout the Canadian prairie provinces. He and I had many long conversations and he warned that CWD was more frightening than any other malady he was tracking. 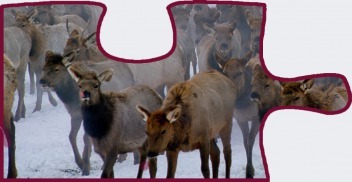 A major scare arrived in 1999 with the discovery of nine captive CWD-infected elk at an “alternative livestock” facility near Philipsburg, Montana. For a time, some wondered if any had escaped to the wild. Geist’s jeremiads helped sway public opinion in Montana to realize the seriousness risk of disease. Many believe the tipping point moment with CWD, predicted ominously by Posewitz and Geist, has arrived. Are natural resource agencies in Greater Yellowstone adequately prepared to deal with its onset? With CWD now bearing down on Montana from two different directions, the state has beefed up its surveillance regimen. Since 1998, postmortem samples from more than 17,000 wild elk, deer and moose have been tested for CWD in Montana but no positives have yet turned up. Montana also encourages motorists who salvage road-killed game animals for their dinner table—yes, there’s a state law allowing people to do that— to turn in the heads of deer and elk recycled from highways for testing. Most troubling to biologists is how CWD could affect wildlife in Greater Yellowstone already coping with the stresses of habitat loss caused by a rapidly-expanding footprint of human development, and by climate change transforming the ability of landscapes to support large numbers of wild ungulates. To readers who don’t know, Greater Yellowstone, which overlaps the corners of northwestern Wyoming, southwest Montana and eastern Idaho, is a 22.5 million-acre region that, due to its migratory wildlife, is often compared to the wildlife-rich Serengeti region of eastern Africa. It is the most iconic and still ecologically intact wildland ecosystem in the Lower 48 and one of the best-known in the world. But because of the way elk are controversially managed in western Wyoming, it represents a case study, scientists say, for how not to steward public wildlife in the face of an advancing pandemic. Dr. Thomas Roffe, a veterinarian and former national chief of wildlife health for the U.S. Fish and Wildlife Service, told me this: if scientists were tasked with designing an experiment to create ideal conditions for a pandemic to take hold, involving a transmissible infectious disease in wildlife during winter when they are most stressed by the elements, one example would be having game farms. The other would be creating a complex of artificial feeding operations identical to those operating today in western Wyoming. Indeed, CWD has never arrived in a healthy, still-functioning wild ecosystem with so much going on in terms of interactions between predators and prey, sheer numbers of potential victims, and complicated migrations happening over long distances on a high-profile public stage with a global profile. The stakes are high. Hundreds of thousands of wild elk, mule and white-tailed deer move in herds or small bands, circulating throughout Greater Yellowstone across jurisdictional boundaries of land management agencies, intermingling seasonally and dispersing again across huge, mind-boggling expanses of terrain. 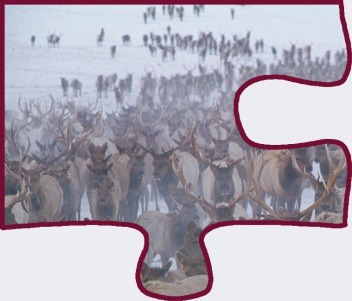 Those animals, in turn, come in contact with other herds up and down the northern Rockies. The wild, healthy ungulate herds function like pumps of biomass flowing across the landscape, providing nourishment for a wide range of predators and scavengers, including grizzlies, wolves, wolverines and even rodents. Dr. Thomas Pringle, a molecular bio-geneticist and respected authority on CWD and prion diseases, said mammal-to-bird transmission is highly improbable. He also said that birds such as raptors, corvids and other avians are not carriers. Dr. Pringle has been vocal in his concerns about the reach and impact of prion diseases, and Mountain Journal will highlight his worries about transmission in subsequent parts of this special series. The Wyoming feedgrounds, he and others say, represent a point of tightly-packed unnatural confluence for several herds in winter, meaning that if animals get sick there, they will carry diseases with them elsewhere. Similarly, if stricken animals arrive on the feedgrounds, there is a much stronger probability, given the notoriously high densities of animals, that they could be seeds to an outbreak. This is one of the golden rules of epidemiology. In addition to Greater Yellowstone’s global reputation for hunting, non-lethal wildlife watching in Yellowstone and Grand Teton national parks alone is the anchor to a nature tourism industry estimated to be worth at least $1 billion annually to local economies. Wildlife watching supports a lot of businesses in every gateway community. What happens if, and when, elk, deer, and moose in Greater Yellowstone start dropping dead from CWD, whether in the valleys and geyser basins of Yellowstone Park in front of tourists, the middle of the Elk Refuge along busy U.S. Highway 191 in Jackson Hole, the flats of Grand Teton or even within the city limits of Bozeman, Cody, Lander and Rexburg? Will dead animals be quickly retrieved to prevent them from causing accumulating environmental contamination? Will the carcasses be dumped in landfills or incinerated? Does it mean that every live deer, elk or moose that looks lean and weakened after surviving the winter will be treated as a possible CWD carrier? How does having CWD-infected herds affect the public perception of wildlife? It’s a grave prospect on the minds of Yellowstone Superintendent Dan Wenk and his staff. Wenk, however, admits there is no plan, no coordinated strategy existing between state and federal agencies for how to confront CWD. The very government entity that was created to formulate regional strategies—the Greater Yellowstone Coordinating Committee—does not have a unified plan. Apart from CWD’s deadly consequences for members of the deer family, concerns abound about CWD’s potential for crossing other species barriers. There is fear about it potentially infecting mammalian predators, ranging from grizzlies, wolves, coyotes and foxes to other scavengers that feast upon dead animals. Yet the real wild card is what risk, if any, CWD and its possible mutations poses to human health? That risk appears to be remote, but it might or might not be. Some scientists, like Dr. Don Davis, professor emeritus at Texas A & M University and a vocal defender of game farms in Texas where CWD is a growing issue, claim the risk is nominal, that raising the threat of CWD to human health is nothing more than media hyperbole. He wrote a couple of diatribes after media reports about the Canadian macaque study. In a recent op-ed, Davis highlighted the important fact that there hasn’t been a single verified case of humans contracting CWD by eating an infected big game animal. “As a research scientist with 40 years of experience in the area of wildlife diseases, I have been regularly disappointed, disgusted, alarmed, and amazed at both the amount and frequency of alleged facts reported on CWD. These ‘facts’ are based entirely on totally unsubstantiated rumor or—even worse—on horribly misquoted science by misguided or misinformed individuals,” Davis wrote recently in an editorial widely circulated to newspapers by an organization called The Exotic Wildlife Foundation. Dr. Davis’ assessment, however, is far from universally shared by peers working in wildlife medicine, including bio-geneticist Pringle. In fact, people I spoke with say Davis' opinion would be in the minority. A far greater danger is minimizing the seriousness of the possible threat, suggests Dr. Michael W. Miller, a senior wildlife veterinarian with the Colorado Division of Wildlife and a noted CWD authority. With prion diseases, increased likelihood of human infection is really a matter of a lot of people eating a lot of contaminated game meat. Miller, known for his cool-headed discussions about risk, acknowledges that he is concerned foremost about its impacts on wild ungulates and the domino effect of direct and indirect impacts it could set off for other species. The spread of CWD in free-roaming North American wildlife is considered a new disease phenomenon, epizoologists say; in other words, it hasn’t been in the environment very long and given its brevity on this continent, there are many unknowns of how it will become ultimately manifested. Unfortunately, the more that new information has emerged in recent years, the level of concern has risen, not fallen. Some contagious diseases over the course of time run their course, leave behind survivors that carry immunity and then die down. Scrapie in domestic sheep is an example of that, Dr. Miller says. But CWD is accelerating in its geographic reach. The agent that causes CWD is not a virus, bacteria, fungi or parasite—not a typical living organism— but misshapen proteins called prions without DNA and RNA structure that become harbored mostly in the brains and central nervous system of deer family victims. As one researcher told me, “they [prions] are weird, they’re not like normal proteins and unlike viruses and bacteria they do not produce an immune response from the organisms they attack. We don’t know what activates them and we don’t know what the triggers are that could cause them to mutate, making them more conducive to move from one species to another.” In this case, "mutation" means prions being altered in ways that increase the odds of transmission between wildlife, livestock, and people. CWD is categorized among a general suite of neurological illnesses known as transmissible spongiform encephalopathies (TSEs). In cattle (and other hooved animals). the disease is grouped among a malady category called bovine spongiform encephalopathies or BSEs. CWD, also nicknamed “mad deer” and “mad elk” diseases, is a cousin of scrapie (which targets domestic sheep). To claim, as some do, that CWD won’t proliferate within Greater Yellowstone deer and elk, and possibly represent a hazard to livestock or predators, which includes humans, is, in the opinion of experts I spoke with, to deny the reality of what has already been demonstrated elsewhere with prion diseases. The best example of species barriers being breached with TSE prion diseases is found in Britain where around 200 humans who ate domestic cattle infected with Mad Cow died. The human version of Mad Cow Disease is a TSE called Creutzfeldt-Jacob Disease and another, variant-strain Creutzfeldt-Jakob-Jacob, both of which are very rare. British cattle were believed infected after the remains of sheep suffering from scrapie were ground up and blended with feed poured into their troughs. The Mad Cow scare, which made headlines and caused panic around the world, resulted in the depopulation and incineration of millions of domestic cows that were potentially exposed to sickened animals. It also elevated concerns about lasting environmental contamination in the ground, a worry later validated by an experiment in Wyoming. Likely, millions of people in Britain and elsewhere came in contact with BSE-infected beef, hence the parallel to keep in mind with what Miller said about the likelihood of CWD transmission to people increasing with lots of hunters eating lots of contaminated game animals. Were CWD to afflict humans, the most likely route of transmission would be from CWD-carrying wildlife infecting cattle or domestic sheep and then humans consuming those animals. 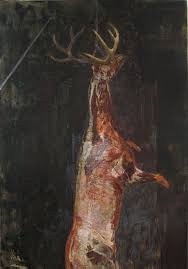 There are no documented cases of prions shed by deer or elk infecting cattle. Prions are notoriously hard biological particles to destroy. Cooking does not kill or immobilize them. They can remain actively infectious in the tissues and fluids of living and dead animals. They can also leach into the environment through feces and urine and, as the carcass of a dead animal decays, contaminate soils and water for long, indefinite periods of time. Recent scientific studies in controlled settings also have shown that prions shed into the ground, especially in clay soils to which they bind, can even be taken up in living vegetation. And many believe that CWD prions could be dispersed more widely across landscapes by being bound up in alfalfa that is shipped far and wide as hay bales and then fed to livestock. So, is it possible for CWD prions to mutate and thereby become transmittable from members of the deer family to people, or other creatures eating contaminated meat, or by merely ingesting infected brain, spinal fluids, plants and water? What about elk and deer that might appear healthy, but actually aren’t and are then consumed by people, or asymptomatic infected animals that come into contact with other animals being packaged at local meat processors? What are the odds that domestic livestock grazing on contaminated grass growing from contaminated soil, be it on public or private lands, could become infected? The answers are that no one knows yet, but some of the emerging indicators keep the level of concern heightened. Uncertainty is why the CDC and World Health Organization have for years offered their cautions against human consumption of cervids that test positive for CWD. Whether actual risk of prion transmission to humans is low, as Dr. Davis suggests, or higher, if mutations occur enabling CWD to jump species, it is a calculation that individuals must make in eating game meat. Recent studies, like the research on macaques in Canada, suggest CWD jumping the species barrier to humans is possible. But Dr. Davis questions the techniques used in the studies and he points out that a similar earlier experiment demonstrated no linkage, a reference that will be explored in ensuing parts of this series. While the risk of CWD prions infecting people is low, threats to wildlife and landscape, however, are not. Some have alluded to CWD’s arrival in Greater Yellowstone as a “ticking time bomb about to go off in the premiere wildland ecosystem in the Lower 48”. BSE-related prions have demonstrated their ability to transcend boundaries between sheep and cattle, and across deer family members, and even from cattle to bison and, as demonstrated by Mad Cow, to people. Undeniable, experts say, are the threats posed to wild ungulates. Ironically, the future health of Greater Yellowstone’s vaunted migratory ungulate herds is being jeopardized by the very government agencies whose duty it is to protect public wildlife from harm, says Lloyd Dorsey, conservation director with the Wyoming state chapter of the Sierra Club. Even a federal appellate court has rebuked the U.S. Fish and Wildlife Service for engaging in management malpractice and violating federal laws. Ground zero for this prima facie argument is the National Elk Refuge home of the Jackson Elk Herd, the most famous wapiti herd in the world. The 24,700-acre Elk Refuge is administered by the Fish and Wildlife Service, long touted as the top wildlife agency on the globe. Nearby, in western Wyoming are the 22 feedgrounds run by the Wyoming Game and Fish Department. Artificial feeding of wildlife in ways that bunch animals in large numbers is considered a cardinal sin in modern wildlife management because of the ripe conditions it fosters for disease outbreaks. At the Elk Refuge alone during the winter of 2017, more than 8,800 elk converged around artificial food rations given to them. 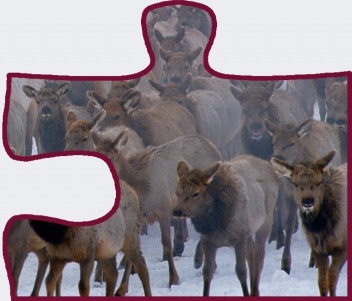 Combined with the state feedgrounds, upwards of 21,000 wild wapiti are congregated unnaturally together in western Wyoming, leaving them more vulnerable to catching not only CWD but bovine tuberculosis, Septicemic pasteurellosis and hoof rot. High rates of brucellosis infection among wild elk nourished at feedgrounds prove the point. Wyoming for a long, long time has justified its refusal to close down feedgrounds by, more or less, portraying CWD as merely a hypothetical risk. In August 2004, the Wyoming Game and Fish Department released what it called a comprehensive white paper titled “Elk Feedgrounds in Wyoming”. Wyoming politicians and associates have demonstrated their disdain for scientists in federal agencies raising the certainty of CWD, and administrators in the Wyoming Game and Fish Department have sent a clear unwritten message down the ranks that dissent—i.e. staffers who say feedgrounds should be shuttered— will not be tolerated. Jackson Hole valley folk, some of whom hail from the same families who in the 1930s and 1940s fought creation of Grand Teton National Park, have also taken out full-page ads in the local newspaper condemning fellow citizens and public servants who speak a different reality that does not comport with their own world view and economic self-interest. Bruce Smith, who spent decades at the National Elk Refuge rising to the rank of senior biologist and who wrote an acclaimed book, “Where Elk Roam: Conservation and Politics of Our National Elk Herd”, dared on several occasions to publicly declare the era of artificially feeding elk has to end. That was met by calls for his firing as a civil servant and later as an alleged speaker of heresy in local newspaper ads. If Wyoming believes it will be able to market its way out of a CWD crisis or deny culpability for a problem it has known is coming, Smith told me recently, then it is in for a rude awakening. This isn’t just any region. It is the Greater Yellowstone Ecosystem, with Yellowstone National Park at its wild heart. It has a national constituency. The public will demand answers and accountability; citizens will want to know the names of who was in charge and did little to prevent disaster from happening. MoJo gives you important reads that take a lot of time to research and they are offered to you free. In turn, we depend on your generosity to help us continue. Please support us by clicking here. It's easy. We appreciate it more than you know.